Buyers who are exempt from paying state sales tax can now purchase items on eBay without being incorrectly charged tax. Word of this development comes not from an eBay announcement, but from a reader who forwarded us an email he received on Wednesday. eBay began collecting sales tax from buyers located in certain states this year thanks to Marketplace Facilitator laws, but it had no way to accommodate tax-exempt buyers. As we’ve previously noted, that was a problem that may have inhibited sales. On March 14, eBay began allowing buyers to register their tax-exempt status. On March 20, a reader received a letter from eBay informing him his future purchases would be tax exempt. Thank you for sending in your documentation for tax exemption as a buyer in Washington. We have reviewed your documents and have approved your request for buyer exemption. You will see this reflected on your future purchases as of today, 3/20/2019. Note: All purchases made under this account (redacted) will be tax exempt when shipping to states listed above. Purchases that should not be tax exempt (e.g., not made with the intention to resell) should be made with a different eBay account. You may be required to pay use tax directly to the state and/or local tax authorities on any purchases of taxable items. For more information, we recommend that you consult with your tax advisor. I hope this is helpful and wish you all the best on eBay in the future. Actually good, forward-thinking suggestions (EGAD – from eBay?!) After consideration, unless things change, I’m keeping my single eBay buying account and hope I can register my sales tax information without a lot of trouble. I have a small business in New York, filing an annual return which has a place where non-exempt purchases (that should have been taxed but were not) can be input. Actually I prefer to do this, because it accomplishes more than one thing for me. It documents that I am paying use tax and the actual amount on items that were purchased tax-free but on which use tax is owed. (Rather than fooling around with blanks on a personal return they started including a few years ago.) I keep receipts for those items with copies of tax filings. In addition to those purchases, I include use tax for any items that have been removed from inventory for personal use – often purchased in previous years, and I finally decided to resell rather than keep them. I keep a list of these items with copies of tax filings. I’m in MN and am not seeing this email, eagerly awaiting it. Packing supplies are tax free in MN if you offer free shipping (becomes part of the product), I currently buy all my supplies on ebay since Amazon started charging sales tax but now I have to look into ordering directly for the sellers websites. @MiniatureCrush, you have to register for exempt status – and as detailed, it’s all or nothing for each account. @Miniature Crush – You are experiencing one of the major disadvantages of “Marketplace Providers” — collecting sales tax on items that are tax exempt in the municipality where you live. I would hope that you should be able to take on Amazon and win, especially if you would prefer continuing to buy from Amazon rather than eBay. Email Amazon about the product(s) you would like to buy and explain that they are wrongly charging sales tax. Be sure to include a link to your MN state website showing that those product(s) indeed are tax exempt for you to purchase. I bought spices on Amazon a few years ago and was charged sales tax. Spices are tax exempt in New York. I emailed Amazon and got a fast reply, “You live in New York, you pay tax!” I emailed them back a link to the state government’s website clearly stating spices are tax exempt, and Amazon refunded the tax I had paid. 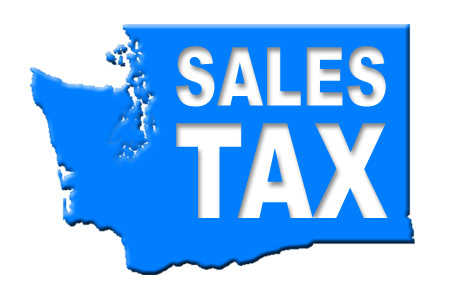 Each state specifies probably hundreds of items on which sales tax is not to be charged. I simply can’t see these mega-companies that will be dealing with 50 states being able to keep up with it.